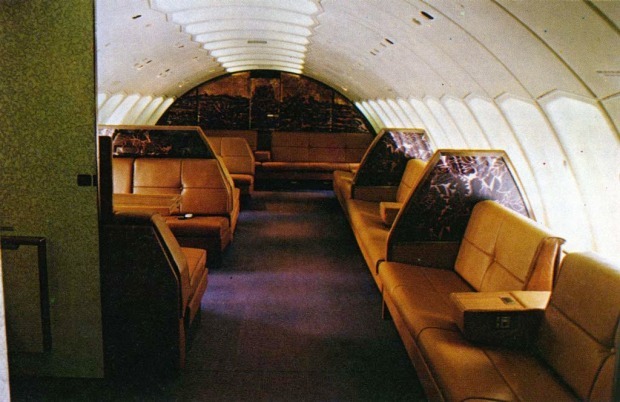 Singapore Airlines' jumbo jets through the ages: In 1976, Singapore Airlines redesigned its first class upper-deck to create 'slumberettes' - 6 custom divans that turned into beds. The airline retired its last 747 in 2012. 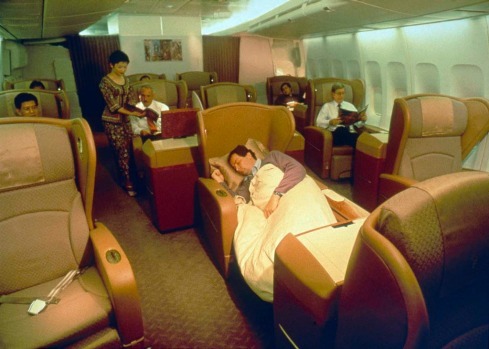 In 1976, Singapore Airlines redesigned its first class upper-deck to create 'slumberettes' - 6 custom divans that turned into beds. 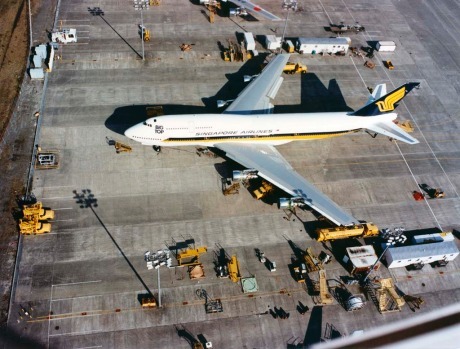 Singapore Airlines receiving its second series of B747 jets, the -300 series, at Boeing's factory near Seattle in 1973. 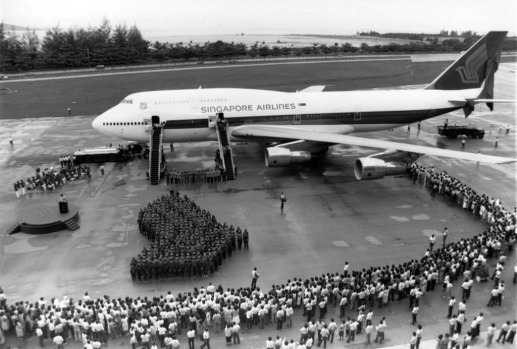 Singapore Airlines receives its first Boeing 747 jumbo jet at Boeing's factory near Seattle in 1973. When SIA combined the 747?s unbeatable economics with its ?Singapore Girl? marketing and in-flight service, the airline pulled away from the field as a world leader. 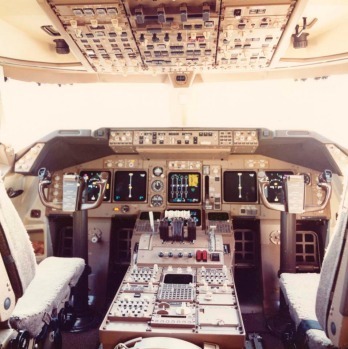 The cockpit of a Singapore Airlines 747 jumbo jet. 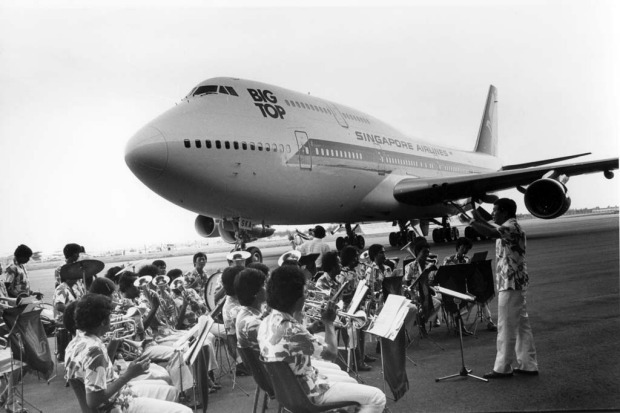 The first Singapore Airlines 747 jumbo jet takes off in 1973. 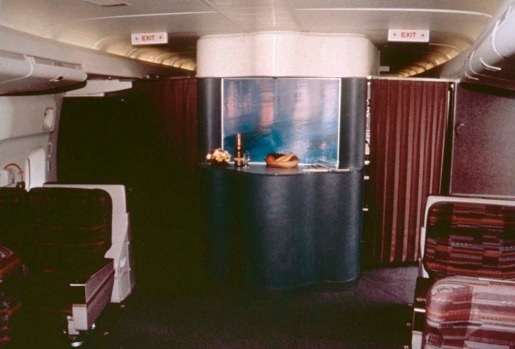 The early Singapore Airlines 747s offered two lounges for business and first class passengers. 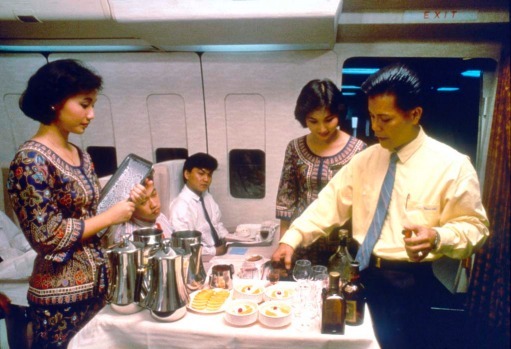 Serving passengers on the 747. Singapore Airlines spruiked its 'gourmet' meal service in first class on board its 747s. 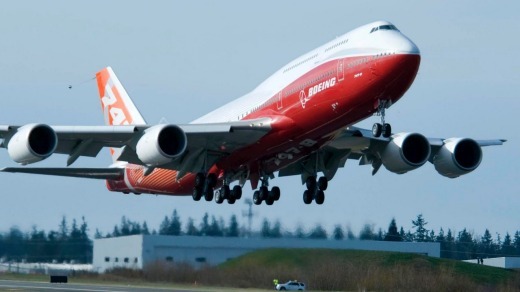 At the time of its launch, the Boeing 747 was the largest passenger aircraft in the world. 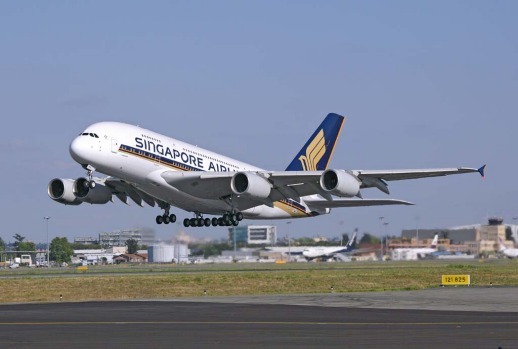 It remained the largest until the arrival of the Airbus A380 superjumbo, which had its maiden commercial flight with Singapore Airlines in 2007. 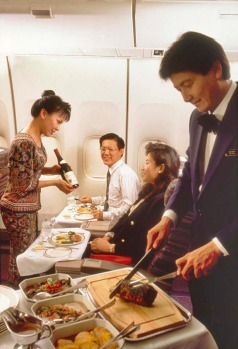 Singapore Airlines introduced its first class 'SkySuites' to its 747s in 1998. 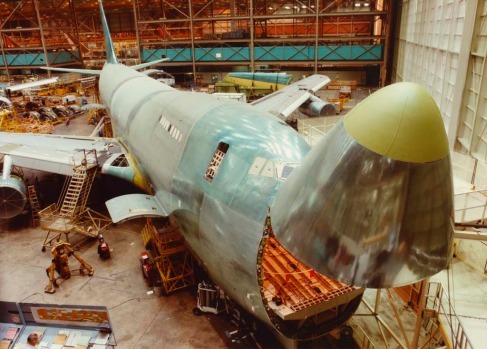 A Singapore Airlines 747 under construction. 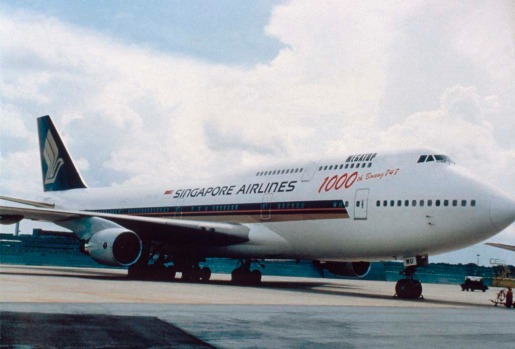 Singapore Airlines' first jumbo jet was a 747-300 'Big Top'. 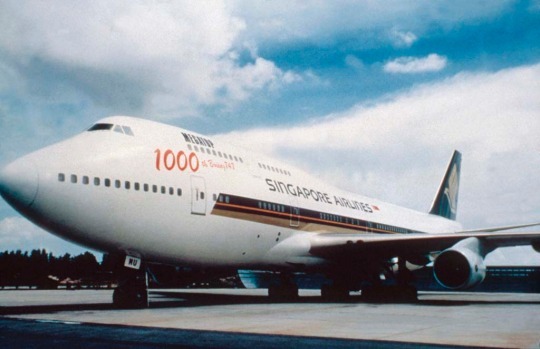 In 1989, Singapore Airlines received its first Boeing 747-400 'Megatop', a redesigned jumbo capable of flying 13,000 km. The replacement ... a Singapore Airlines A380 superjumbo. 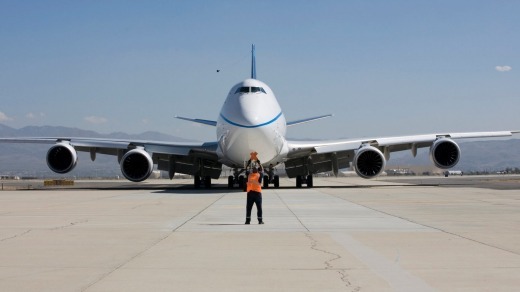 How much do I, a Boeing 747 pilot, love the plane that I fly? It's tough, and maybe a little embarrassing, to answer. But as the iconic jet's eventual retirement draws closer, I am surely not the only 747 fan who's taking some very long flights down memory lane. To share with you the jumbo dimensions of my 747 obsession, I could describe my wedding cake (hint: it had wings of marzipan, and four chocolate engines). I could share my Twitter moniker, @markv747. Or I could go further back, to the day when I, an awkward 14-year-old, stood with my mom and dad atop the Pan Am terminal at John F. Kennedy International Airport, and stared in wonder at the towering tail fins of the 747s all around us, as proud and promising to my wide-opened eyes as masts in a harbour. I find the aircraft to be both smooth and maneuverable, a joy to fly and to land. 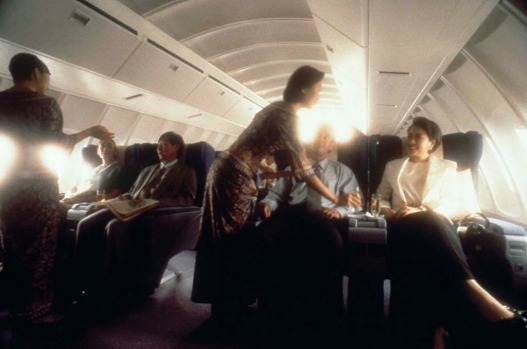 I could tell you pretty much everything about my first passenger flight on a 747, a KLM Royal Dutch Airlines flight to Amsterdam, on June 25, 1988 (in 33A a window seat, of course). And I'd certainly describe the marvellous night of December 12, 2007, when I first piloted a 747, for British Airways, the airline I now fly for, from London to Hong Kong. That night, the majesty of the 747 made the experience of takeoff new again, as joyful as it had been on my first flying lesson years earlier, when a steely-eyed instructor and I strapped ourselves into a Cessna, rumbled down the runway of my hometown airport in Pittsfield, Massachusetts, and lifted into an autumn-blue Berkshire sky. Recent news reports have suggested that the last 747s in passenger service with United States airlines will be retired this year. It's worth noting that other 747s including refurbished, newer and cargo versions will fly for years to come. New passenger 747s took flight as recently as this summer, and cargo models continue to roll off the assembly line. Nevertheless, as many 747 pilots start to ponder which aircraft we'll fly next (personally, I am drawn to the sleek lines and Star Trek-caliber cockpit of the Boeing 787), it is a good time to reflect on the outsize importance of the plane known as "Queen of the Skies" not just to its most passionate and geekiest, pilots, but to billions of passengers and to the world it helped change. For those who grew up under 747-crossed skies, it can be hard to appreciate how revolutionary the jet's dimensions were when it first (and improbably, to some observers) got airborne in 1969. 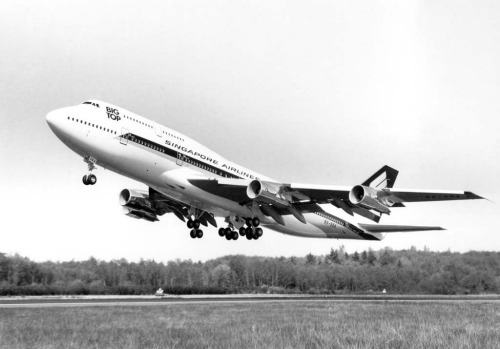 The inaugural model, the 747-100, was the world's first wide-bodied airliner. The jet weighed hundreds of thousands of pounds more than its predecessors (the Boeing 707, for example), and carried more than twice as many passengers. Born in a factory so large that clouds once formed within it, the 747-100 was nearly twice as long as the Wright brothers' entire first flight. Aviation historian Martin Bowman has written that during the 747's first takeoff, in February 1969 from Paine Field in Everett, Washington, the blast of its engines knocked over a photographer. Indeed, the jet's elephantine proportions were both a gift and a challenge to the travel industry. Peter Walter, who retired in 2011 after 47 years in ground-based aviation jobs, shared with me his memories of the day the 747 first came to the airport in Freeport, Bahamas. "The aircraft did not look all that big on the runway, but once it was on the ramp it looked enormous," he wrote. The mobile steps that had serviced a previous generation of airliners were too short, so crews stacked one set of steps atop another in order to reach the lofty doors of the new leviathan. For pilots, crew members and passengers who love the 747, it's easy to forget that the airliner was first of all a business proposition, one that aimed to harness economies of scale and a raft of new technologies to cut the seat-per-mile cost of air travel by about 30 percent. Yet on a planet that previously only the richest could cross at will, the 747's most lasting impact may have been on everyday notions of distance and difference. Having inaugurated the "age of mass intercontinental travel," wrote the scholar Vaclav Smil, the 747 "became a powerful symbol of global civilization." The writer J.G. Ballard compared the jet to nothing less than the Parthenon each the embodiment of "an entire geopolitical worldview." Juan Trippe, Pan Am's legendary founder, called the 747 "a great weapon for peace, competing with intercontinental missiles for mankind's destiny." 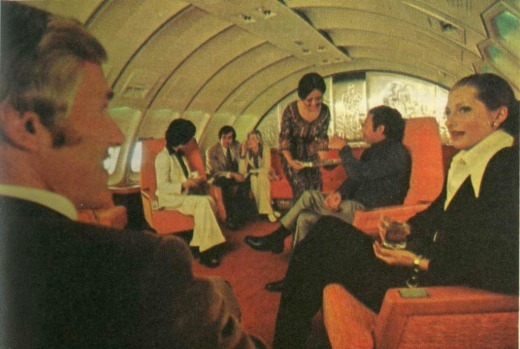 The hopes and fears of the era that gave us the 747 can seem distant. Nor is it easy, in the age of the internet, to feel the same awe at the 747's ability to shrink and connect the world. Looking back, it's perhaps enough to marvel at the billions of reunions, migrations, exchanges and collaborations of all manner that were made possible, or at least more affordable, by this aircraft. Today, the equivalent of around half the planet's population has flown on a 747. The jets have also served in firefighting, military and humanitarian roles. In 1991, as part of Operation Solomon, about 1100 Ethiopian Jews boarded the 747 that would take them to Israel. Never before had an aircraft carried so many passengers including, by the time the jet touched down, several babies born midair. 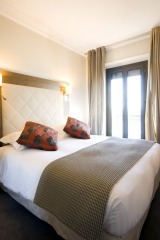 The jet also seems certain to be remembered as an icon of modern design. "This is one of the great ones," said Charles Lindbergh of the aircraft that many consider to be uniquely good-looking. I am surely not the first to speculate that the jet's distinctive hump (fashioned to facilitate cargo-loading in a future that many expected to be dominated by supersonic passenger jets) suggests the graceful head of an avian archetype. Frequently, looking up from my cockpit paperwork, I'll spot several passengers in the terminal photographing the very jet in which I am sitting. I often see even senior 747 pilots disembark the aircraft that they've just spent 11 hours flying to Cape Town or Los Angeles, and then pause, turn around and photograph it. 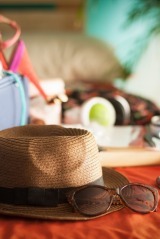 Indeed, the jet may be most esteemed by those who have been lucky enough to fly it. The very first to do so, the test pilot Jack Waddell, described it as "a pilot's dream" and a "two-finger airplane" one that can be flown with just the forefinger and thumb on the control wheel; it is hard to imagine higher praise for such an enormous aircraft. Personally, I find the aircraft to be both smooth and maneuverable, a joy to fly and to land. Like every 747 pilot since, Waddell also took a keen interest in how the plane looked. Remarkably, he did so even as he was piloting the new jet on that first-ever flight. "What kind of a looking ship is this from out there, Paul?" he said over the radio to Paul Bennett, a pilot in the "chase" aircraft that was following the newborn 747 through the skies of the Pacific Northwest. 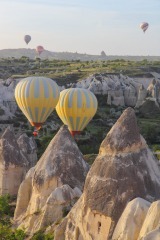 The reply from Bennett echoes through aviation history: "It's very good looking, Jack. 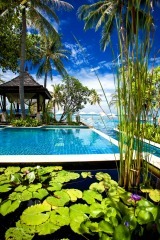 Fantastic!" Many 747 pilots feel the same, and are pleased, but not surprised, to hear that the British architect Norman Foster once named the aircraft his favourite building of the 20th century. Now, well into the 21st century, I asked Foster for an update. The 747 "still moves me now as it did then," he told me in an email. "Perhaps with the passage of time, and in an age of 'look-alikes,' even more so." Foster has plenty of company. At the start of my first book, a sort of love letter to my job as a pilot, I invited readers to send me their favorite window seat photographs. Many also wrote to share their particular passion for the 747. One reader detailed his first 747 flight, on Alitalia, bound for Rome in 1971. "I have been hooked ever since," he said. 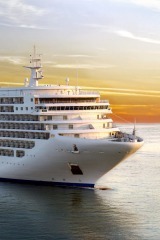 Another, Andrew Flowers, a 42-year-old South African writer who lives in Helsinki, wrote that the 747s he saw as a child in Cape Town stood for what "I wanted most in the world: a way to Europe, to adventure, to freedom." When Foster emailed me, he also attached a transcript of remarks he made about the 747 in a 1991 BBC documentary. "I suppose it's the grandeur, the scale; it's heroic, it's also pure sculpture," he said then of the jet. "It does not really need to fly, it could sit on the ground, it could be in a museum." 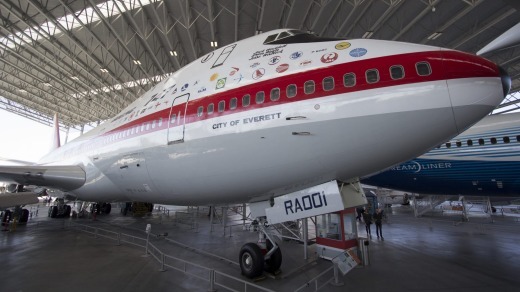 Today, the first 747 is indeed in a museum the Museum of Flight in Seattle. 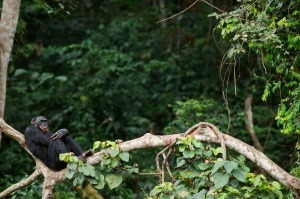 When I last visited, I couldn't stay long. 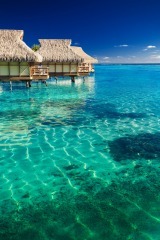 (Inevitably, I had a flight to catch.) But if you see me there another time, perhaps in a few decades when I myself am retired, with more time, I hope, to sit on benches and listen to Mitchell, come say hello. I'll tell you how much I loved this plane, and how sorry I was that my parents did not live to join me on one of my flights. Perhaps you'll tell me about the first time you ever saw a 747, or flew on one, and together we'll marvel at how it towers above us even at its lowest altitude, even as it rests on the world.